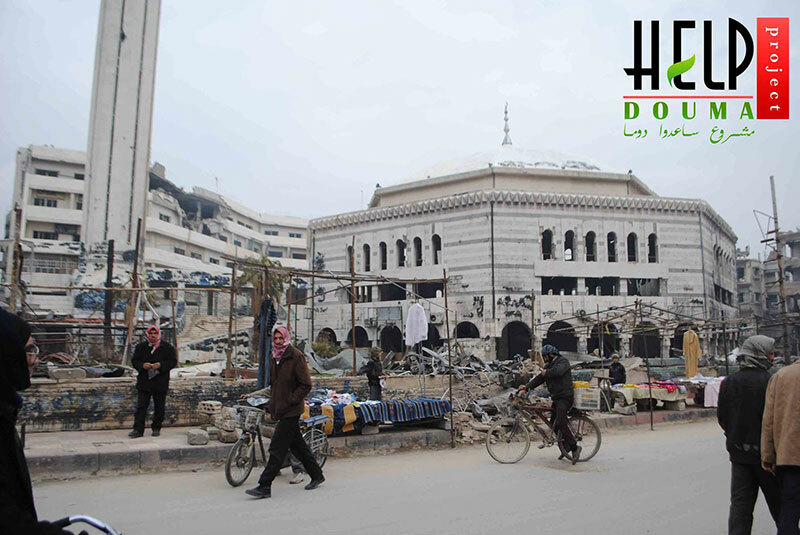 Home » Projects » Help the people of Douma, help to save their lives! Help Douma project! Help the people of Douma, help to save their lives! Help Douma project! Douma is the administrative centre in the Ghouta area, east of Damascus. it is located at the heart of the countryside, and a large proportion of its people were, before the conflict, active in trade and agriculture. Since the begining of the war Douma city has been losing many lives on daily basis, due to the ongoing aerial bombardments and to the brute siege that has devestated the town since 2012, and has left the ghost city without the very basic needs for survival. Ever since, the people of Douma have been living in continuous fear, hunger, and with little hope; the blockade created medical and food shortages and dire humanitarian needs, no power, no food, no shelter, no access to fresh water and no social and health care services. Many humanitarian organisations have called the international community to focus on the atrocities that are being committed in the suburbs of Damascus, over which the infamous barrel bombs are being used. Like most places in Syria, the whole region of Ghouta has been left in a catastrophic status.